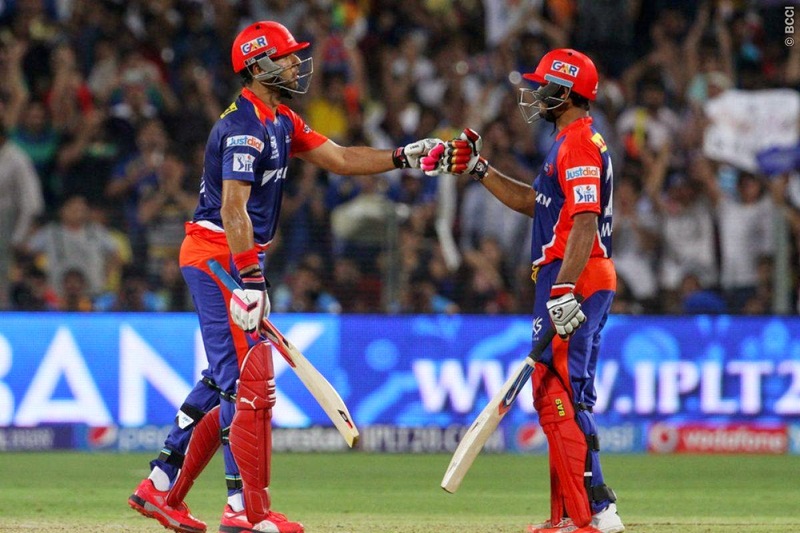 Delhi Daredevils record their 1st win in IPL 8 with a 5 wicket win of the Kings XI Punjab. 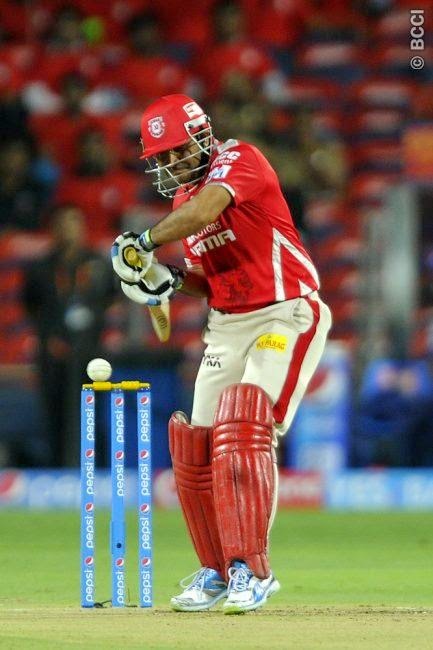 The 'S' duo( Sehwag and Saha) gave it their best shot to ensure that Punjab are one step ahead of their opponents, but the quick fifties by Yuvraj Singh and Mayank Agarwal helped the DD cross the finish line. 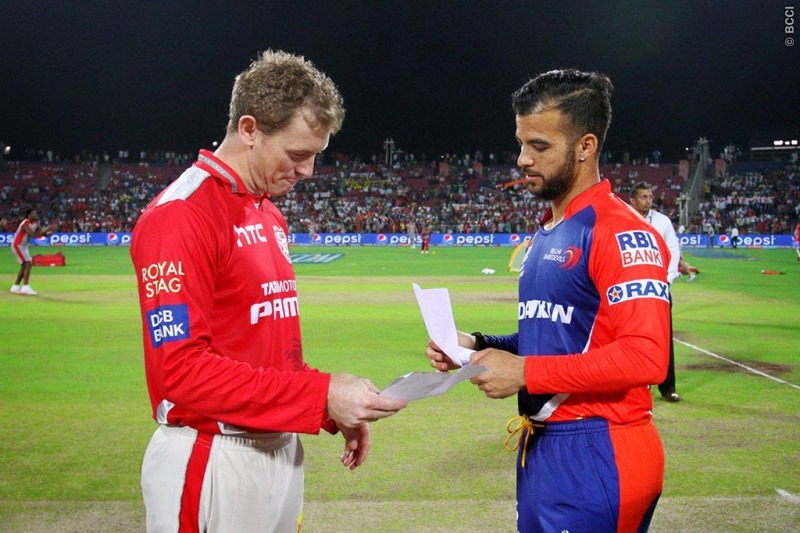 Kings XI Punjab won the toss and captain George Bailey elected to bat first. Sehwag(47) and Saha(39) were the shining stars of the Kings innings and were pivotal in setting up a decent total on the scoreboard. The rest of the KXIP batting line up fell like a pack of cards, they were unable to shake the devils and cause destruction. The Delhi Daredevils bowling unit was successful in agonizing the Punjab batsmen and did not allow any partnership to materialize and cut all of them before they could cause trouble to the Daredevils. DD put the squeeze on Punjab towards the end and took wickets too frequently and did not allow KXIP to the better of them. Limiting the lads from Mohali to 165/7 the daredevils would now have to overpower the mighty KXIP bowling attack. As the game continued, DD got off to a decent start but soon lost two early wickets which burdened the rest of the line up. Mayank Agarwal(68) and Yuvraj Singh(55) anchored the sinking Delhi ship , this match winning pair took the bowlers to the cleaners and the imperative partnership between Singh and Agarwal abetted Delhi's 5 wicket win over the Kings. An amusing instance in this match was the run out of J.P.Dumiiy by Axar Patel, where the Delhi Captain tripped over the Punjab bowler while attempting to save his skin but eventually bid goodbye to the 22 yards. There was a sudden collapse of wickets for the Daredevils which increased the heartbeat rate of all DD fans and they hoped that their team would betray them in the end. Mayank Agarwal recorded his highest score in IPL and it was a pleasurable day for all Indian fans as it was a treat for them to watch their World Cup winning Champion make a splendid comeback. "The Man of the Match" title was bagged by Delhi Daredevils Mayank Agarwal for his match winning knock and Yuvraj Singh and Axar Patel were amongst the others who received the awards.